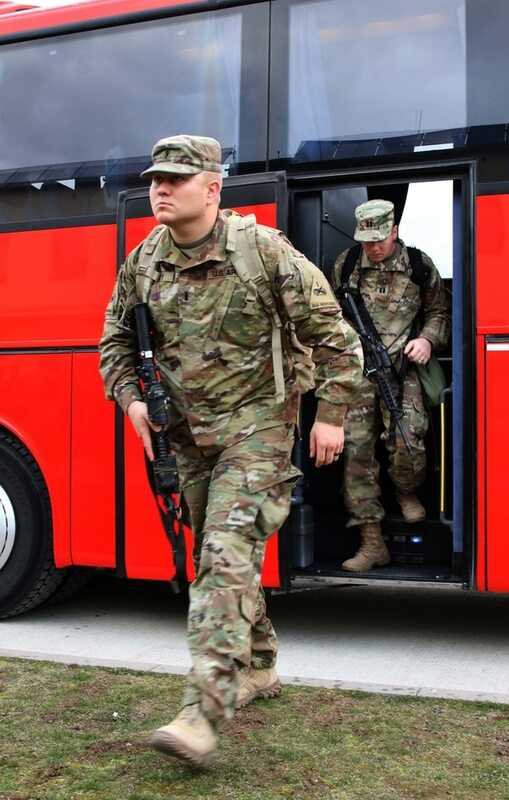 More than 1,500 soldiers are streaming into Poland this week in a rapid deployment to Europe the Army has not seen since the days of the Cold War. Those soldiers of the 2nd Armored Brigade Combat Team, 1st Armored Division out of Fort Bliss, Texas were given seven days’ notice to get from the fort to Germany and then travel to meet their pre-positioned equipment and head to training ranges in Poland to run exercises over the next three weeks. Army Times spoke with Maj. Gen. Gronski, deputy commanding general of the Army National Guard in Europe about the move. Gronski said one lieutenant said his battalion was in the middle of gunnery ranges when they got the call. The new rotations will add to existing training rotations and forward-stationed troops. “This was about as real world as it can get for them,” the two-star said in reference to rapid deployment. Training units and the 21st Theater Sustainment Command had slightly more notice to prep sites and get the prepositioned gear ready for the incoming armor soldiers, Gronski said. There will be two battalions and a tactical command post “in the box” for training that will include maneuver, combined arms exercises and gunnery tables alongside Polish troops. Gronski said the Polish units will provide mechanized infantry and fixed wing support. 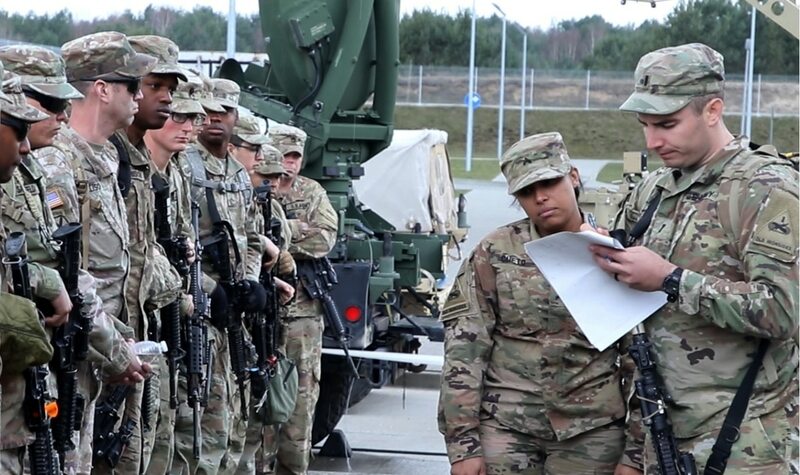 Soldiers from the current Army rotational force in Europe, the 1st Armored Brigade Combat Team, 1st Infantry Division out of Fort Riley, Kansas, will provide artillery support during the training. Some of the training mimics the biennial exercises such as Saber Guardian, but units in those events know months or a year or more ahead of time that they’ll deploy, and they’ll deploy for sometimes months at a time. The “dynamic force employment” strategy gives commanders in Europe and other theaters a way to quickly add troops in key areas, often to deter conflict by showing a flexible and adaptable force. Gronski said such deployments help young NCOs and officers learn how to move rapidly to theater, train with partners and work on terrain they could have to fight on in the future. Along similar lines, top Army leaders announced earlier this week that an estimated 5,000 to 10,000 soldiers will rotate throughout the year to the Pacific, in addition to Army units stationed throughout the region. Those soldiers too will train alongside local allies and partner military forces. The Army once did such a European deployment in which soldiers would fly over on short notice and fall in on equipment to be ready to respond for potential invasions by military forces from the Soviet Union. Those were called “Return of Forces to Europe,” Gronski said. But those types of deployments stopped in the 1990s and remained on hold due to commitments in Iraq, Afghanistan and other Global War On Terror hot spots. Rapid deployments like this one are likely to happen again and they’ll come up “unexpectedly,” Gronski said. As the services shift back to focusing on great power competition with regional rivals such as Russia and China, the forces are seeing an uptick in exercises, training and equipping. Over the past three years the Army has added armor and other ground combat assets to Europe, and increased funding for more weapons systems to the region. They’ve also begun “heel to toe” rotations of forces to better support NATO allies in the region as they watch the Russian military modernize its forces. The now standard rotational deployments for units such as the 1st ABCT of the 1st Infantry Division are nine-month deployments that overlap to keep a sustained presence on the continent.